Super Dragon Ball Heroes World Mission, a video game variation of the Japanese Arcade game and an adaptation of up-and-coming Trading Card Game, will allow you to create and customise your trading parts when it releases for the Nintendo Switch on the 5th April 2019. 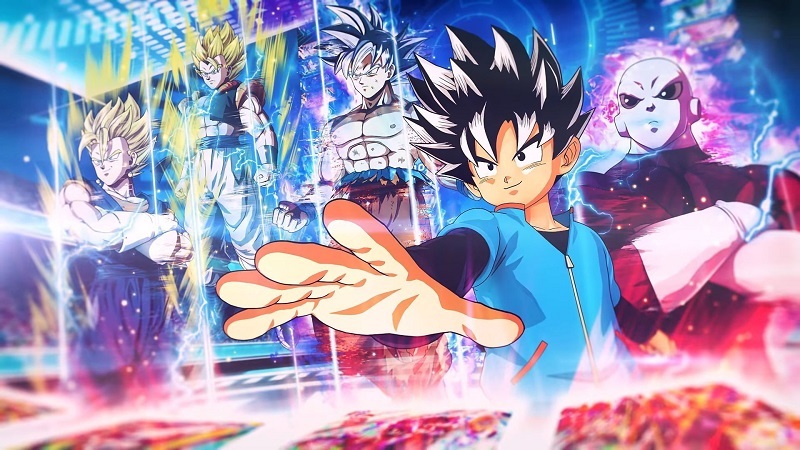 As announced in a new trailer by Bandai Namco Entertainment this Dragon Ball themed card game will not only allow you to build a digital deck from a large selection of cards but you’ll be able to build your own in the games card creation mechanic. Players will be able to add characters, designs and styles to the cards they make; but more importantly they can be used in battle with different creations resulting in different types of attack in game. Super Dragon Ball Heroes World Mission will be available within Europe on the 5th April 2019 in digitial and physical forms. A ‘Limited Edition’ known as the Heroes Edition will also be released which include early access to cards and five new cards for the Dragon Ball Super Trading Card Game.